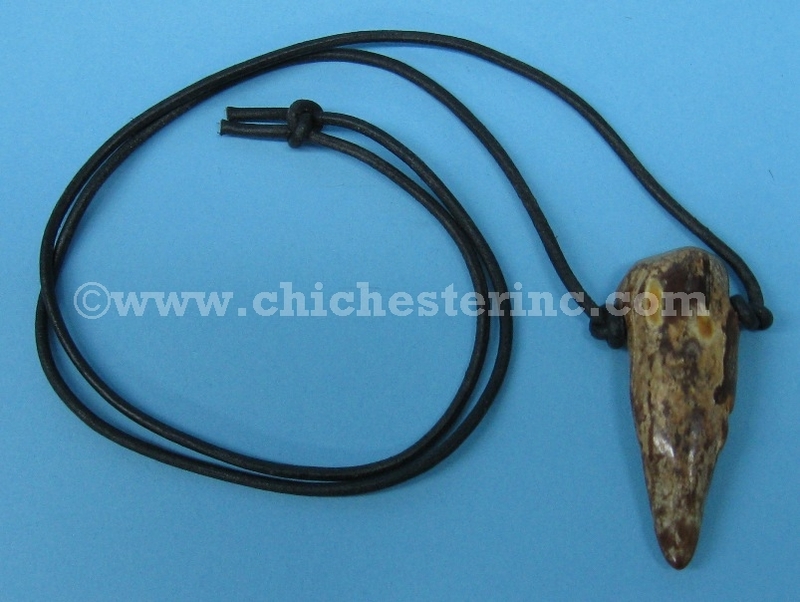 The R-554-00 necklaces are made in Alaska using a piece of fossilized walrus ivory. The piece of fossil ivory is approximately 2" long and 0.75" wide. 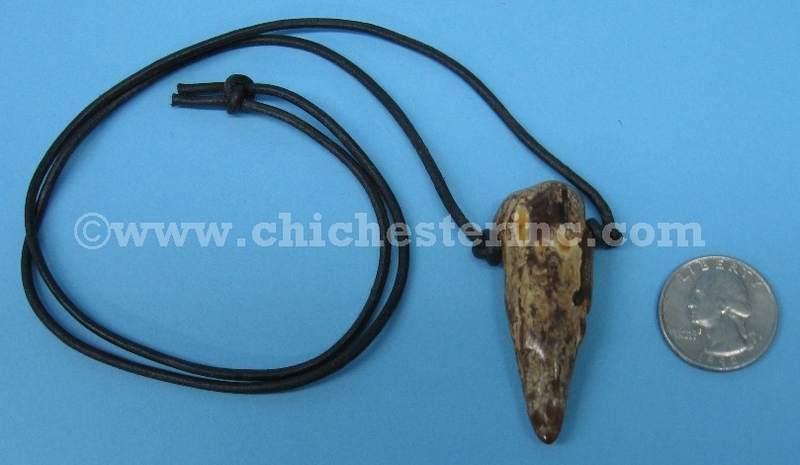 The necklace is 14" long and weighs about 0.4 oz. The R-554-10 necklaces are made in Alaska using a piece of fossilized walrus ivory, and they come in a white jewelry box. Each piece is unique.